Looking for solutions to traditional medicine, Nancy Spicca hopes her journalism experience can help listen and provide resources to women recovering from chronic disease. Photo by David K.
Our Entrepreneurial Journalism class at the CUNY Graduate School of Journalism is all about learning by doing. In just five short weeks, we were commissioned by our teacher, Jeremy Caplan, to develop our own journalism startup that will serve a community we care about. To help us choose the community we’d like to serve, we each listed groups that we are a part of, particularly those we cared about. "Mapping out my community landscape and stakeholders gives me an overview of where I’m going. These visual maps make it much easier to see connections, identify challenges, and avoid missed opportunities." I knew immediately that I wanted to focus on a journalism project to serve women with unresolved chronic health issues. These women are frustrated that traditional medicine has not met their needs. They are looking for solutions beyond the limitations of allopathic medicine to effectively address their chronic health issues. Their hope is to reverse their health problems by identifying and addressing the root cause. I understand the challenges associated with chronic disease because I’ve been a part of this community. I’ve dealt with chronic auto-immune issues for more than two decades. As a CPA specialized in the healthcare field, I was embedded in the medical community and did everything my doctors prescribed, but my health continued to deteriorate. Desperate to find answers, I spent years researching complementary and alternative solutions. Through trial and error, I eventually found the help I needed to completely reverse my symptoms. Creating a start-up that serves the needs of this community is one of my primary motivations for pursuing a master’s degree in social journalism. According to author and entrepreneurial guru Paul Graham, most successful start-ups are created in response to a problem. According to the U.S. National Center for Health Statistics. Onset and progression are usually slow and can last for an entire lifetime. Common examples of chronic illnesses include type 2 diabetes, heart disease, cancer, arthritis, dementia and autoimmune disorders. More than half of all American adults report having a chronic health condition, according to a CDC 2012 National Interview Survey, with the majority being women. Three chronic diseases: heart disease, diabetes, and cancer contribute to seven out of every ten deaths in the United States, according to a 2010 CDC report. 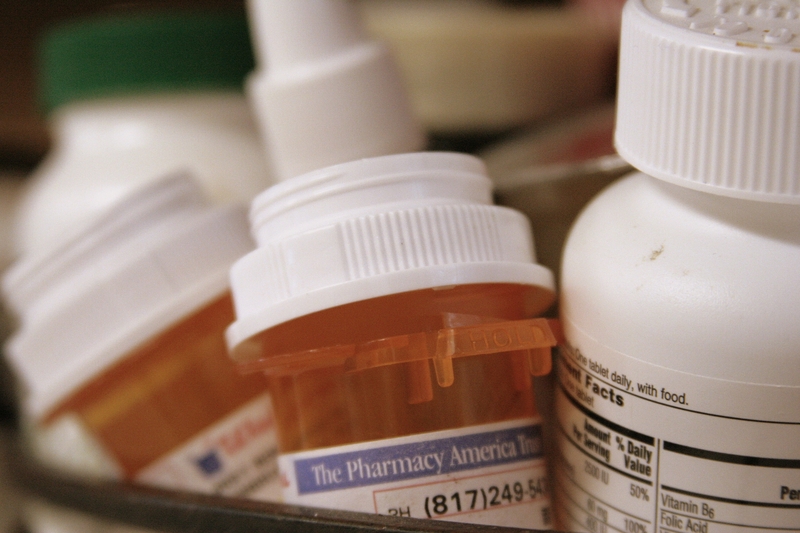 A 2007 report, “An Unhealthy America: The Economic Burden of Chronic Disease” estimates that chronic illness costs the nation as much as $1.3 trillion annually. Chronic disease has reached epidemic proportions, and our current medical system appears to lack adequate tools for preventing and treating complex, chronic disease. Most physicians report that they are not adequately trained to assess the underlying causes of chronic disease. Nearly two-thirds of doctors feel they are poorly trained in the skills related to the care of chronically ill patients, according to a Johns Hopkins national survey of physicians, pediatricians, internists and surgeons. Another important part of our assignment was to learn more about the problems and needs of community members through personal interviews. In his 16 Quick Interview Tips from Google Ventures, Michael Margolis provides some excellent advice on conducting effective interviews. My challenge was to put aside what I already knew about my community and approach each interview with curiosity. I wanted to remain neutral and resolved to listen more than talk. I designed open-ended questions that would result in thoughtful answers and greater insight into the needs of my community. This strategy was helpful for creating strong connections with the members of my community. My ability to empathize with their pain and frustrations required that I get out of my own way. They often feel overwhelmed while searching for health solutions outside of traditional medicine, especially when they’re not feeling well. They want to find doctors who are qualified to help them but often don’t know where to begin. Many are frustrated that their traditional doctors have stopped listening. They want to be heard. They want to find a doctor who will take the time to identify the root cause of their chronic illness and address it, not merely manage it with a prescription medication. They desire to learn more about functional medicine — how the approach differs from traditional medicine, what is required, how much it will cost out-of-pocket, and how to find an experienced doctor. Many have experimented with complementary or alternative medicine, such as acupuncture, therapeutic massage, yoga, and other health therapies. Some things have helped, and some have not. Many fear that their quality of life will deteriorate before finding the right care. They are often overwhelmed and often desperate for common-sense solutions. Mapping is an important step to understanding a community and what they need. We were introduced to some excellent mapping tools designed to create greater insight. The Lean Canvas allows you to lay out the entire process of a start-up on one page in order to focus on the problems, solutions, competitive advantages and key metrics. Because we have not completed the prototype for our start-up, we created a Lean Canvas for an existing venture that addresses our community. 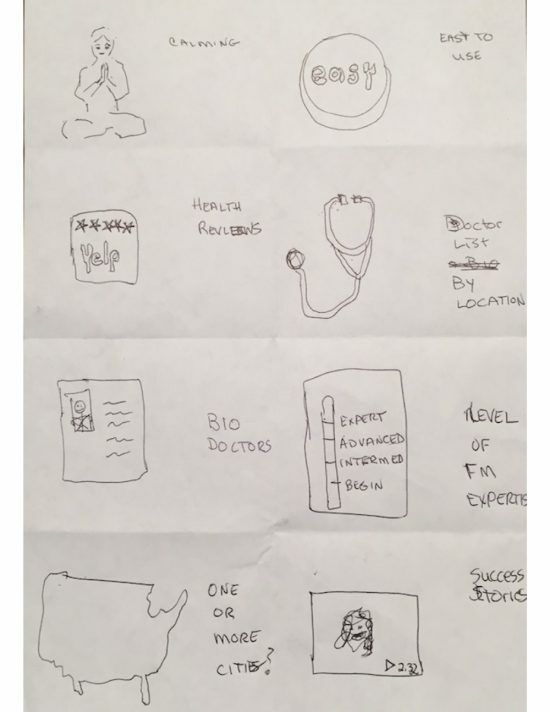 The exercise would help us to visualize the process from beginning to end. 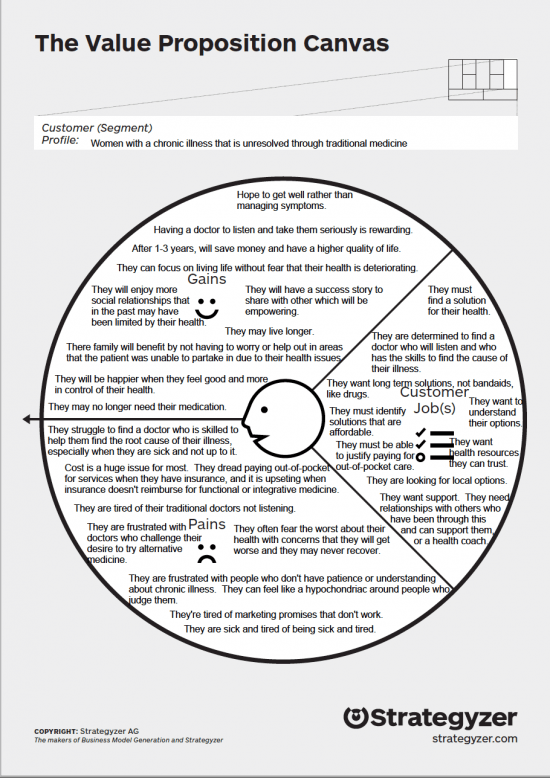 I chose to create a Lean Canvas for a health website that targets my community, www.EverydayHealth.com. I was able to pull information from their latest annual report. A core element of the Lean Canvas is the Unique Value Proposition. It’s a concept that explains what your product or service is at a high level. It describes what it is about your product or service that makes it uniquely valuable to the user. Unfair Advantage describes something that cannot be easily bought or copied. A patent would fall into this category. Pains — what are the challenges, frustrations, and potential negative outcomes? Gains — what makes them happy — what outcomes/benefits do they want? Jobs — the things that people want to get done. What are the most important to them? By laying out the pains, jobs and gains of members in my community, I was able to develop a deeper understanding of what they need and how they are trying to get there. The User Story Map is a diagram that tells the story of someone in our community. We can sketch this out by hand or use software, as I did. 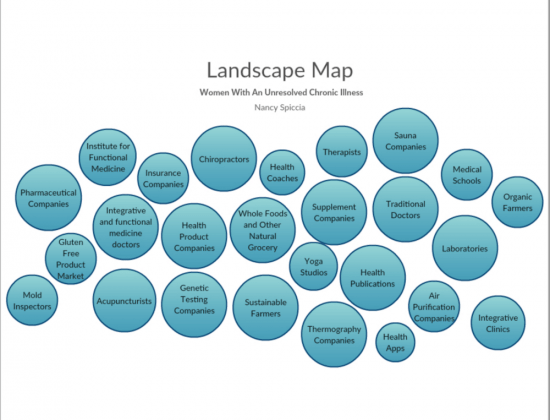 My story map describes a woman with a chronic health condition who goes to a traditional doctor, undergoes testing, and is given a diagnosis, which is often matched with a drug to manage or minimize her symptoms. She is frustrated with the traditional medical approach to her chronic illness and is looking for alternative health options. She explores her options through internet searches, talking with friends, and sometimes acts on a referral or advertisement. The User Story Map for my community. She is very concerned about spending money on healthcare that is not covered by her insurance plan. She may decide to try an alternative therapy or integrative practitioner. When overwhelmed, she can be indecisive and paralyzed to make a decision and may continue to search for help until better informed. To help identify the stakeholders in my community, I created a Stakeholder Map. A stakeholder is someone who cares what happens in your community and what you do (both positive and negative). The map helped me to visualize the key stakeholders and consider the influence they may have on a woman in my community. The landscape includes those who are aiming to provide products or services to the community. The people in the landscape are generally moving toward the business context. Many times the landscape includes those who are trying to make a profit with this community. While others, such as a nonprofit organization, may be looking for ways to target the community for a non-monetary purpose they are serving. I created a map to show the major players in the marketplace for my community. Mapping out my community landscape and stakeholders gives me an overview of where I’m going. These visual maps make it much easier to see connections, identify challenges, and avoid missed opportunities. To apply the HMW questions, I started with a problem statement or Point of View (POV) for my community. The objective was to break the problem down into smaller, actionable steps by brainstorming HMW questions. This is a helpful exercise before brainstorming solutions. The HMW questions helped to spark creative ideas to address the problems in my community. 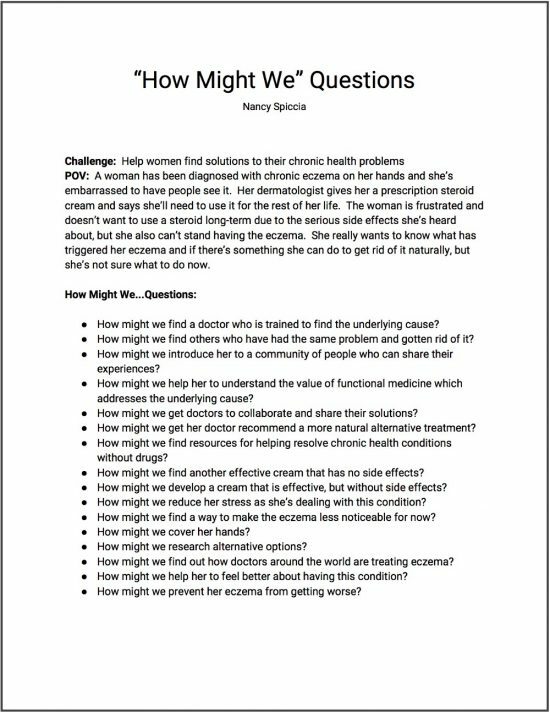 “How Might We…” questions guide thinking about a particular problem in my community. At this stage, we should be starting to develop a robust hypothesis. We could test that hypothesis with a product, an event, a newsletter, or something else that would allow us to see how people react. Everything I’ve done thus far is leading up to the development of a prototype — a website that will explain functional medicine, its value, and how it compares to a traditional medical approach. I’ll post stories that talk about the challenges of functional medicine and will collaborate with functional medicine doctors to answer questions. The website will feature turnaround stories from women who have reversed their chronic health problems through functional medicine. It will address one of the most common problems noted by the women I’ve interviewed: how to find competent functional medicine doctors. I’m currently developing a WordPress site as a platform to address the needs of my community. 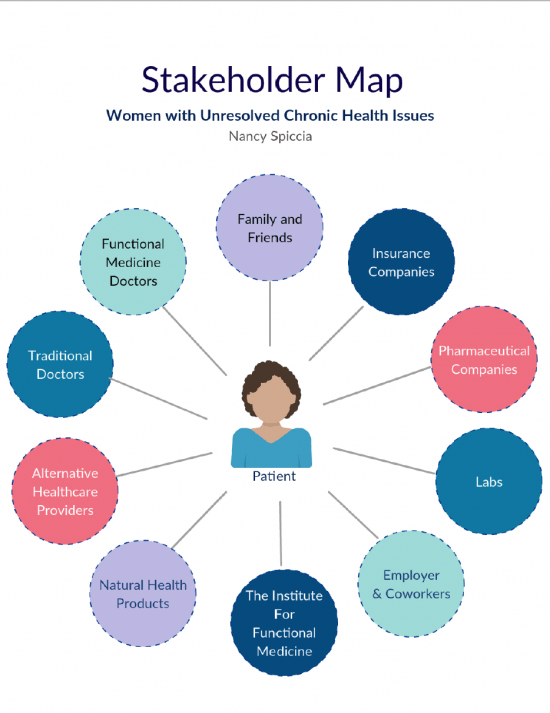 ChronicHealthBridge.com will provide resources to help chronically ill women explore functional medicine as a possible solution for their recovery from chronic disease. This article was originally posted on medium.com. View it here. Nancy Spiccia has a Master’s in Social Journalism from CUNY Graduate School of Journalism. She is a Certified Public Accountant specialized in healthcare and a published author with expertise in integrative and functional medicine.